Support the March for Truth, and join concerned citizens in Chicago, New York, WashingtonD.C., Los Angeles and over 70 other cities. 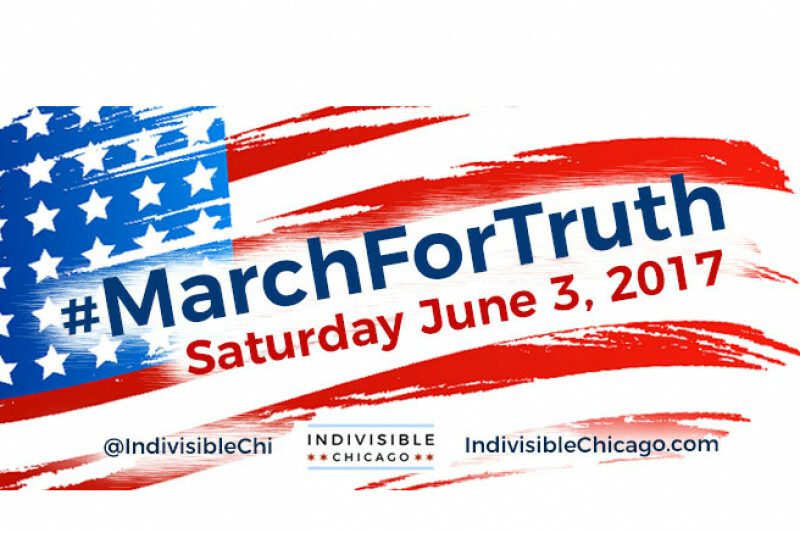 Indivisible Chicago, a grassroots organization run entirely by volunteers, will sponsor our first large march in downtown Chicago. We need your help to pay for permits, police escorts, insurance, stage, and other expenses. Please give what you can, spread the word, and join us on June 3rd! The Trump administration continues to demolish democratic norms and institutions, while complicit Republicans in Congress sit idly by. Call loud and clear for an independent investigation into Russia's interference into our democratic process and the Trump administration's possible collusion with Russia. Citizens will gather to demand more accountability and transparency from their federal, state and local elected officials. A successful democracy requires Truth, transparency, openness and the rule of law. This march will tell our elected officials that we will not tolerate corruption, lies and the abuse of our trust. We made it to $10,000! Thank you all so much for joining us in standing up to the Trump regime. Our list of speakers is shaping up, a DJ has been found, and we've secured at least one food truck. Now, we just need to get the word out! Thanks to your generosity, we reached 50% of our fundraising goal on Monday morning! "What is my money doing right now?," you ask. A lot, in fact. The permit has been secured. The banners have been ordered. The stage and sound system are ready to go. And we have speakers! Representatives Mike Quigley and Robin Kelly will be joining us, as will Jill Wine-Banks, a former Watergate prosecutor who has been down this road before. Keep up the good work and help spread the word! I am loving all the work everyone is doing. Lets keep active! 2018! Hope to participate with you, too! Let's do this again and let our voice be heard! Team Patriots!